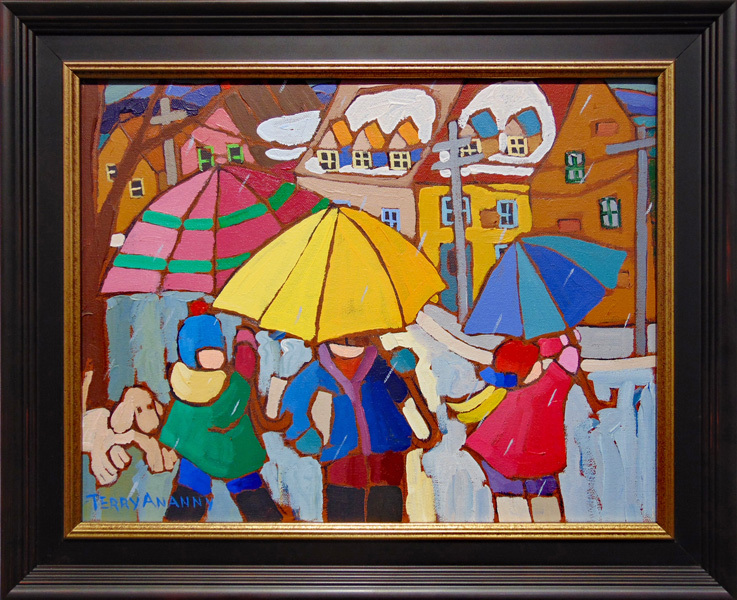 Terry Ananny was born in Toronto in 1956 and now resides in Ottawa, Canada. 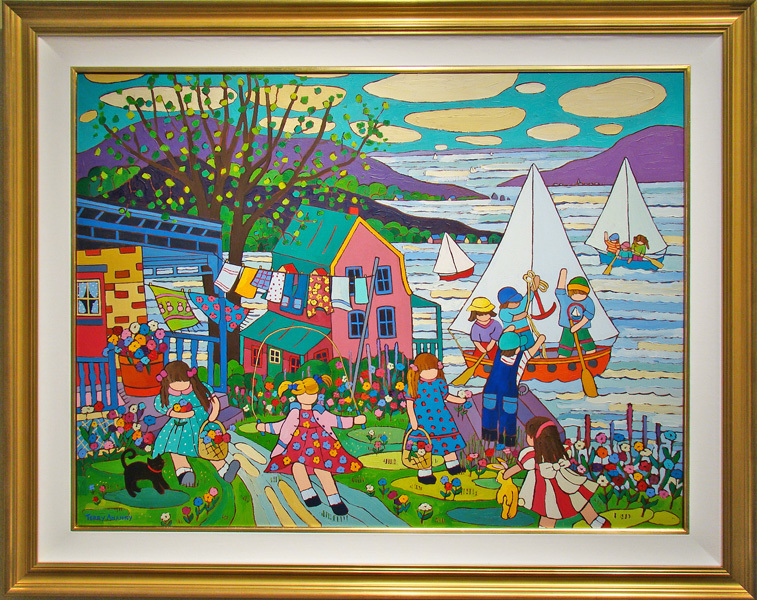 From a young age Terry Ananny showed a keen interest in painting and although she studied fine art during her education , Terry Ananny is primarily a self-taught artist. 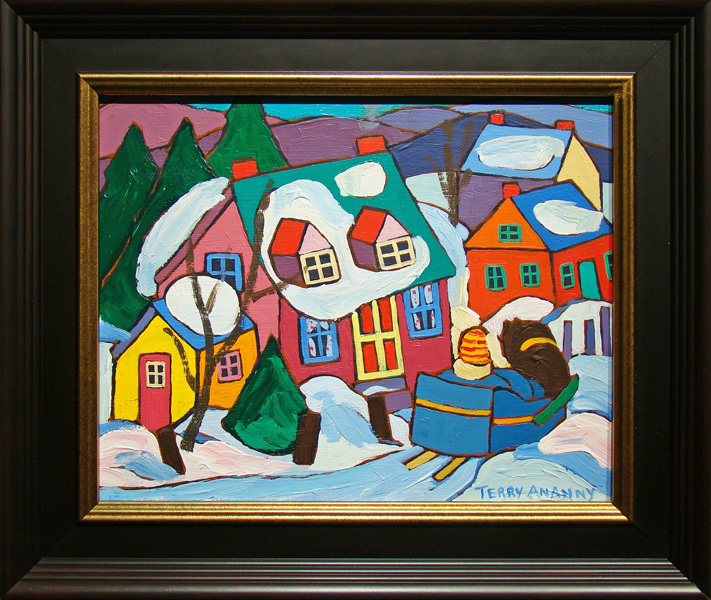 As a child, Terry experienced many trips from Ontario to Quebec. 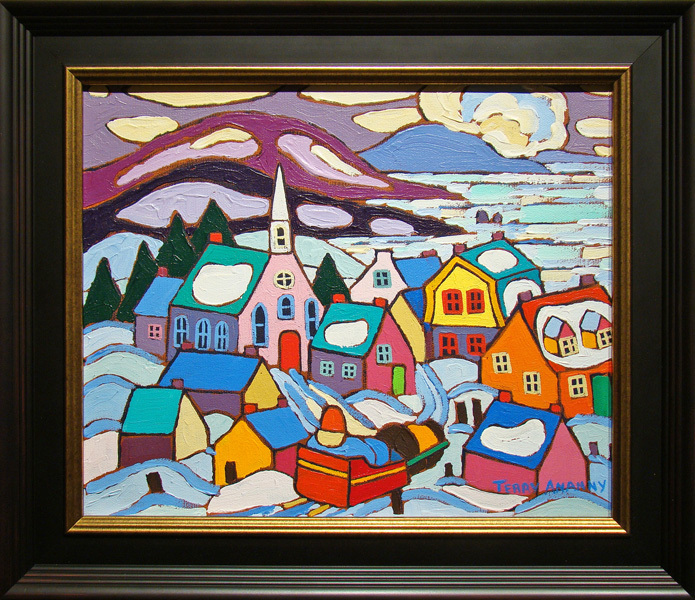 The rich splendor of the colorful Quebec villages were forever etched into the artist‘s memory. 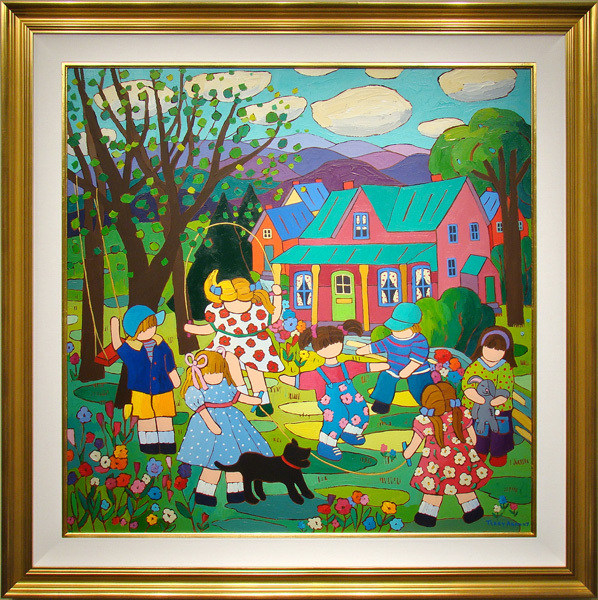 Terry brightly recaptures on canvas these charming landscapes and their surroundings with children at play in the great outdoors. 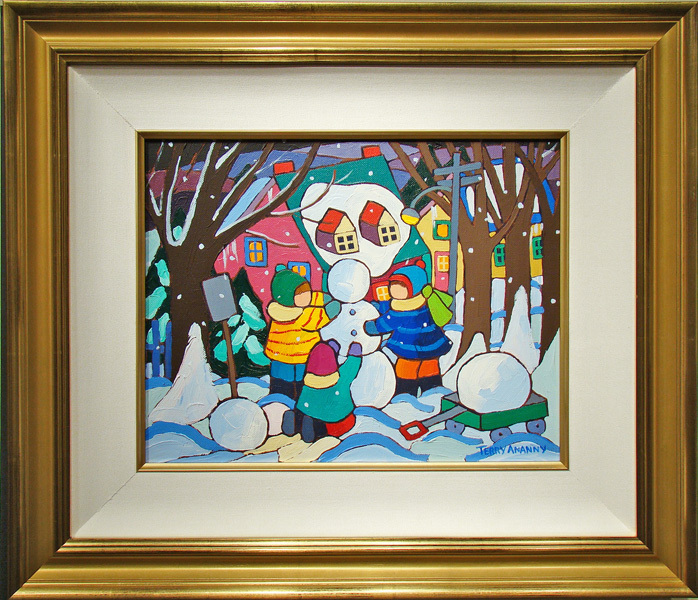 Each painting represents a unique magical moment connecting us to our earlier childhood memories. Terry Ananny is married to Peter Ananny and during their 33 years of marriage, they have worked hard at raising a family of three children and successfully running several family owned businesses. Their three grown children help manage the family’s Ottawa based on-premise wine making business the “Wine Station”. When not painting or helping out with the responsibilities associated with running their family businesses, Terry and her husband enjoy golfing in the summer. Terry has also been an avid curler winning many trophies in bonspiel events in the Ottawa area. 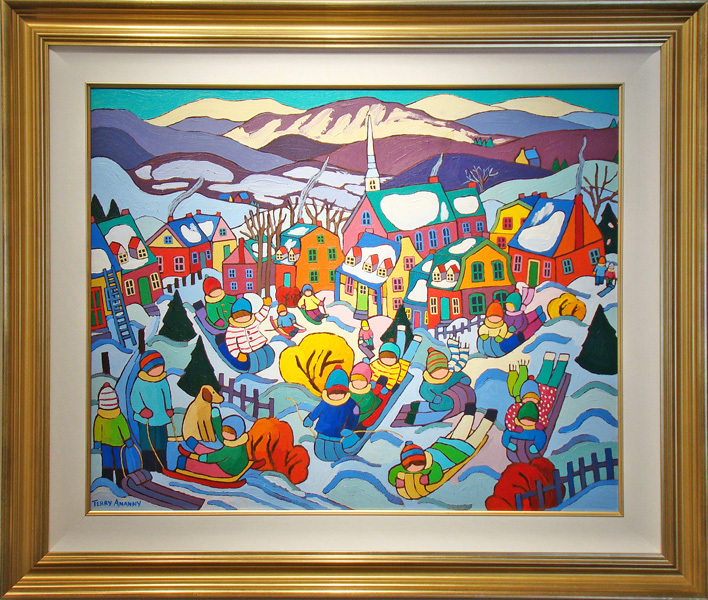 Her love of curling has found its way to a series of curling paintings which have been recently reproduced as UNICEF Christmas cards over the past few years. 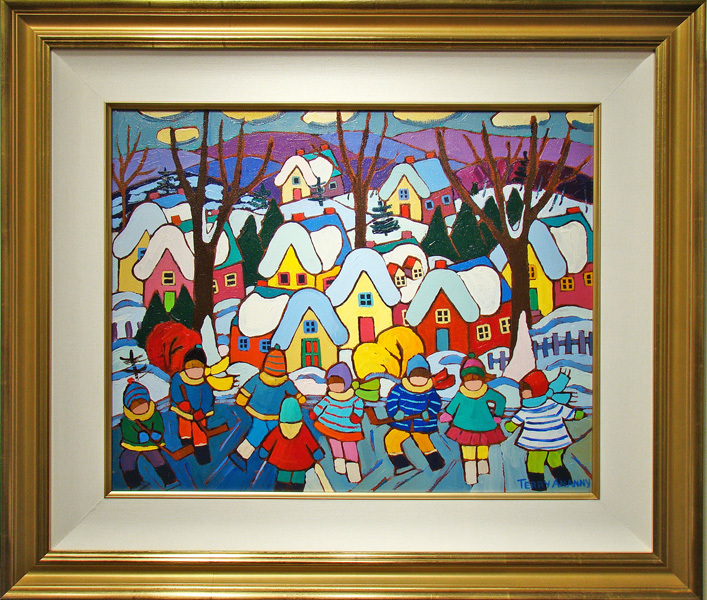 Although home is their favorite place to be, the artist and her family have enjoyed many summers at the family cottage on Lake Muskoka. The cottage has been in the family for three generations and is nestled on the shores of Lake Muskoka, two hours from Toronto. 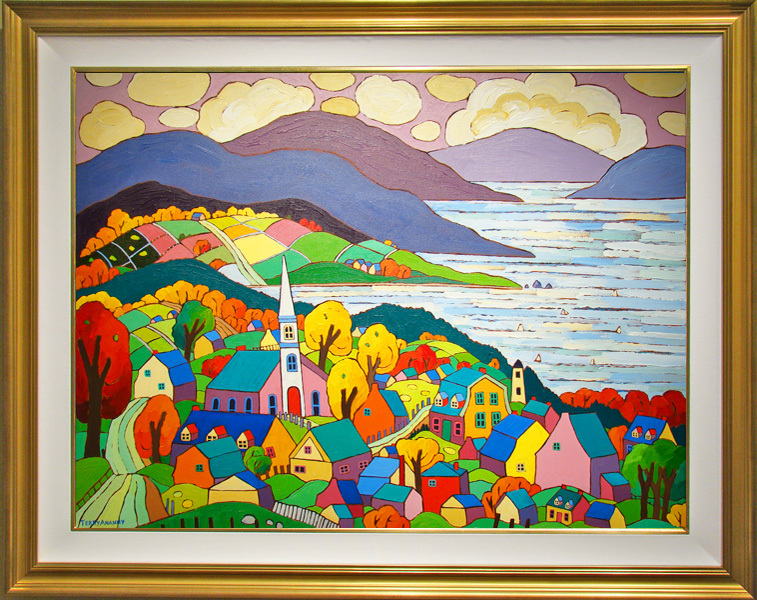 It was here that Terry received her first paint set from her parents as a child and set about to paint the beautiful scenes of water and surrounding countryside. 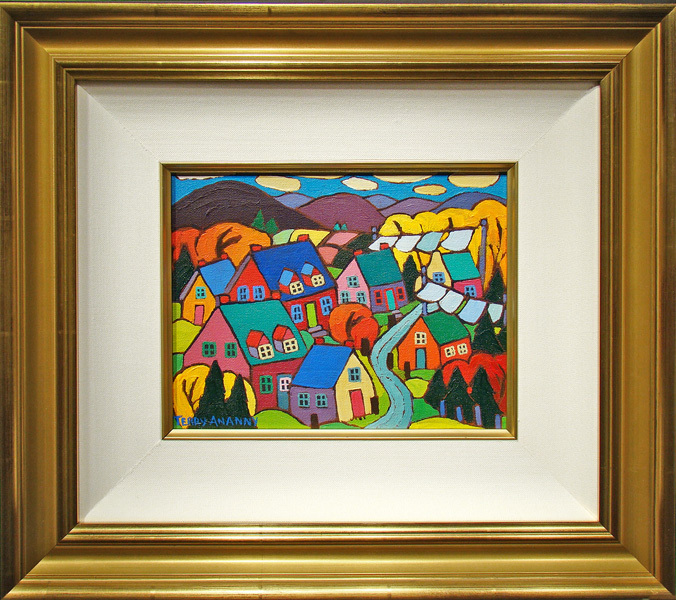 Some of these early paintings were primitively framed in tiny maple branches and hung proudly on the cottage walls. The young artist also showed an enthusiasm for music and was trained in classical piano under the Toronto Royal Conservatory of Music. Music continues to play a part in the artist’s life and the theme of music has been explored in many of Ananny’s canvases. 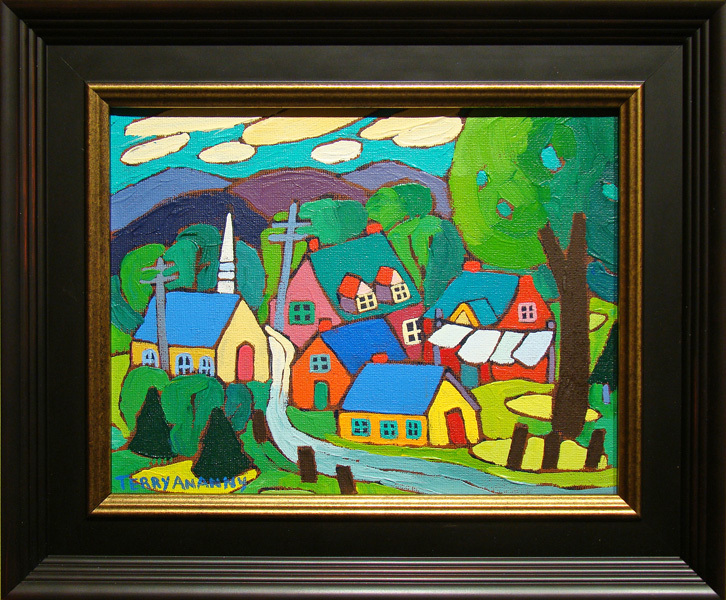 Terry Ananny has been greatly inspired by a number of fine artists. 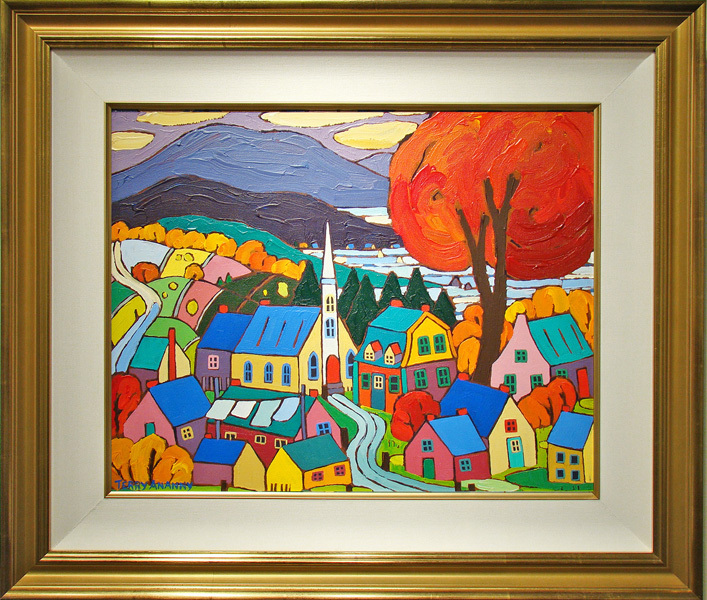 Without doubt, the works of Henri Masson and Marc A. Fortin have had a strong influence in her work. 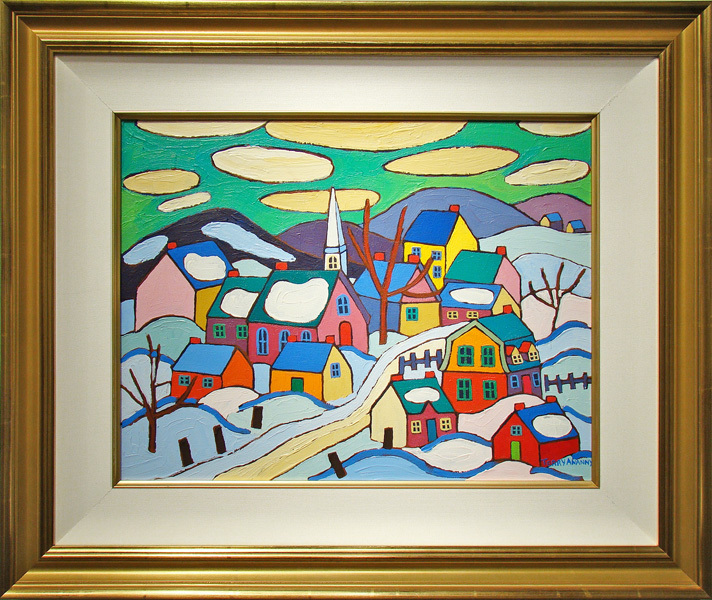 The group of seven and Clarence Gagnon were also inspiring influences. 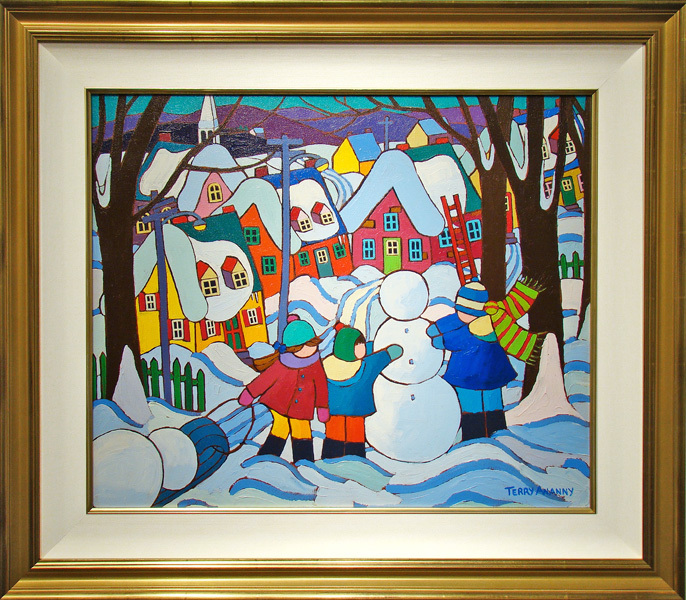 Terry Ananny is honored to have one of her paintings hanging in the collection of the late Elizabeth Harris, wife of Lawren Harris Jr. (son of Lawren Harris – Group of Seven). 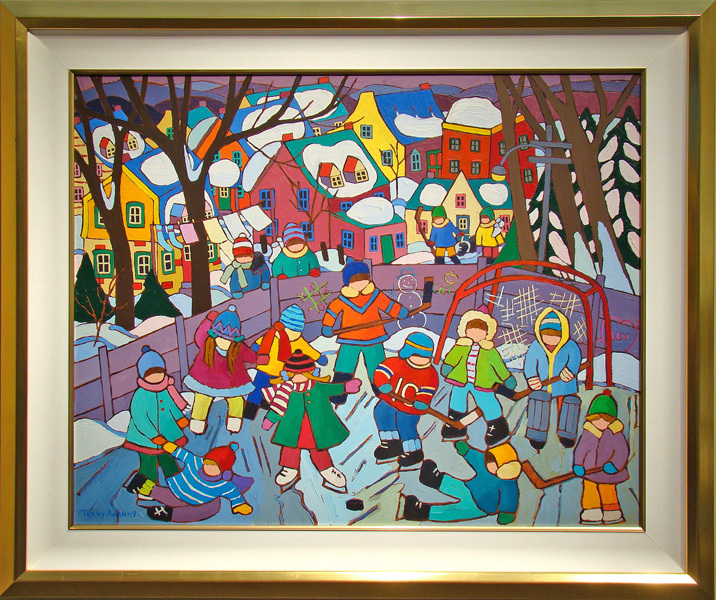 Her work is also seen on UNICEF cards, Canada Save the Children cards, Canadian Greetings cards, Cornerstone 52 Foundation cards, Children’s Wish Foundation cards, Canadian Cystic Fibrosis cards, book covers, CD covers and has been submitted for a Canadian postage stamp and Canadian coin. 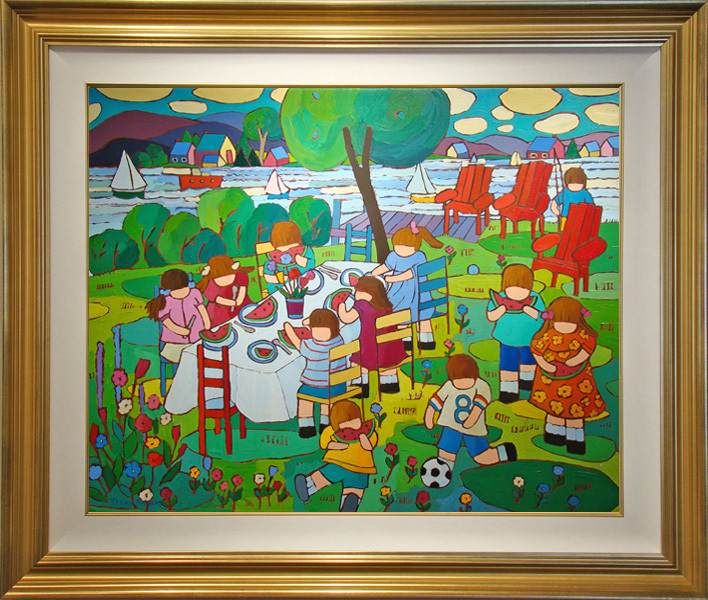 Robert Paul Galleries is proud to exclusively represent Terry Ananny’s artwork in the United States.